Below is a moving letter FAN received last year from Audrey Adams, a campaign leader in Washington State, about her son Kyle. According to the promoters of fluoridation, people like her son – who are hypersensitive to fluoride – don’t exist. Unfortunately, the severe impact of fluoride on some individuals is all too real, as you’ll learn from the letter below. We at FAN would like to thank Audrey for sharing with us this powerful and often painful story about her son. In the 70 years of this unethical and reckless practice not one health agency in any of the countries that practice water fluoridation has called for, or financed, any scientific study to investigate the possibility that some citizens are particularly sensitive to fluoride’s toxic effects. But in the minds of our government officials fluoride is different; it is the only drug in the world without side effects (other than dental fluorosis, which they claim is only a cosmetic effect) and to which no one is sensitive! The explanation for this unscientific and irresponsible attitude is very simple and disturbing: for those who promote fluoridation it is far more important to protect this practice than to protect the health of our citizens. And so Audrey suffers, Kyle suffers and many others. And thousands more will suffer needlessly until we rid the world of this irresponsible and reckless practice. Yet another super-angel has issued an exciting challenge. If we can reach $100,000 by midnight (PT) Christmas eve she will donate $4,000. We are hoping that others will add to this generous challenge because we know from previous years that the most difficult task we have had is going from $100,000 to $150,000 – in fact we have never reached $150,000! So our new mini-goal is $100,000 from 500 donors by midnight Christmas Eve. And remember that when we reach each donor milestone of 300, 400 and 500 donors we will receive $1,000 ($3000 in all). Again to get future foundation support the number of donors is crucial to us. Please consider making small donations for family members. Every single donation – large or small – is very valuable to FAN and for our campaign to get the deliberate addition of fluoridation chemicals to the public drinking water banned by the US EPA in 2017 under provisions in the Toxic Substances Control Act (TSCA). Your donation will make you part of this historic effort. 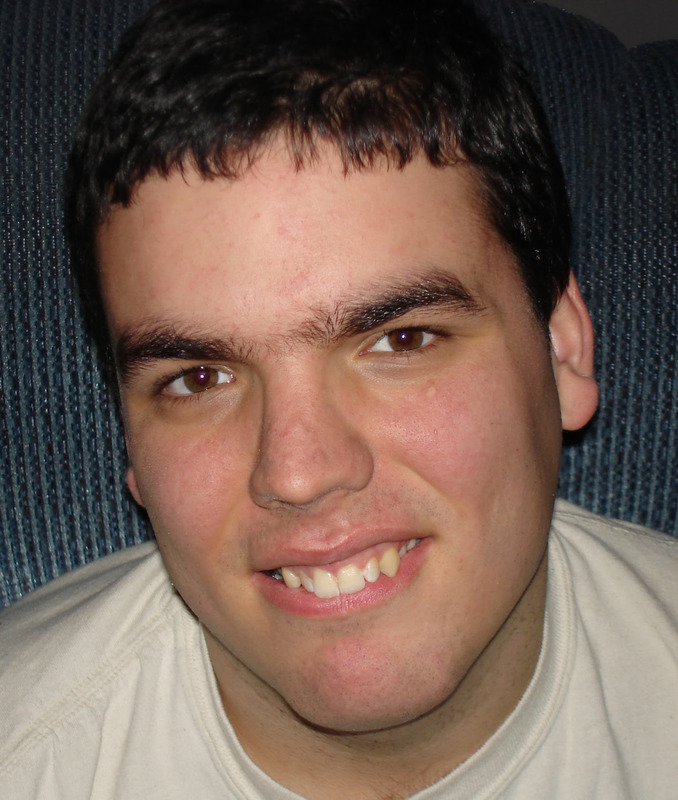 I’m the mom of a delightful young man with autism, Kyle, age 31, who is severely hypersensitive to fluoride. Sadly, I didn’t know it for the first 14 years of his life and I didn’t even know of the countless other chemical sensitivities. We’ve traveled a very long and painful road together, his pain physical (and profound), my pain emotional. No, he was not (is not) completely free of all pain—sadly, unexpected chemicals lurk everywhere. But by providing Kyle with fluoride-free water, chronic pain was no longer the 24/7 “norm”, so detecting the other chemical triggers was finally more achievable and allowed much greater success at avoidance. Fluoride remains the worst, and most difficult, to avoid. It took me many years to understand the many sources of fluoride (I will discuss these in part 2 of my letter–see link at end), and to fully realize the extent of Kyle’s sensitivity to it. There is so much more to Kyle’s “Fluoride Story”, but you’re busy and I’m out of time. You can see parts 2 and 3 of Kyle’s story using the links below. Meanwhile, please help FAN put a stop to fluoridation with your generous donation. I’ve already sent mine. LISTEN to the Womenpower Radio Show, where Audrey and Karen Spencer are interviewed By Dr. Richard Shames.